If you’ve been to St. Petersburg and find yourself with a sense of déjà vu on a cruise to Helsinki, it’s not your fault, since the city’s neoclassical buildings often stood in for St. Petersburg in Hollywood films. 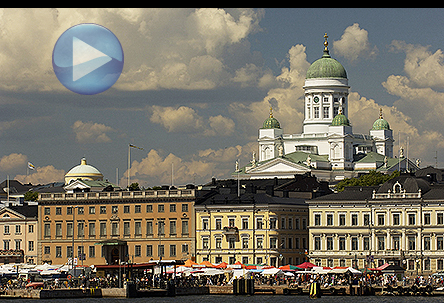 The sensation won’t last long, though — Helsinki’s identity and vision are sui generis. From its inauspicious origins in the mid-16th century, the city has come into its own with genius and bold humanity, winning kudos for having the world’s best quality of life. Strewn across numerous islands along Finland’s tasseled southern coast, Helsinki is a green metropolis, where architectural visions segue easily into prolific park spaces and ocean vistas.